Until this year, I'd never heard of Primers or Fixing Sprays. Didn't even know these were a thing. And then one day on Twitter, everyone was going on about an Urban Decay or MAC Fixing Sprays, and I had no idea what they were on about - but soon realised they were out of my price range. I'd not thought much about them until the Summer when it was getting super hot here in the UK (and I miss the heat right now!) 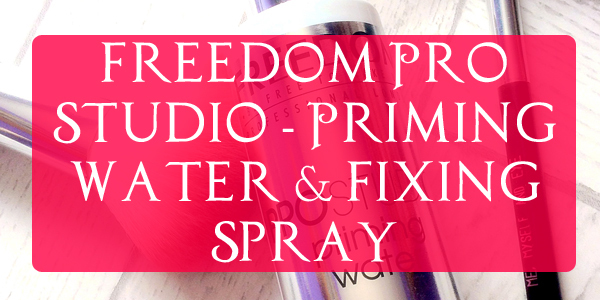 I wandered into Superdrug and spotted the Freedom stand, and picked up their Priming Water for £6 and the Fixing Spray for £5. Much more suited for my budget! So I've been using these since the middle of June, and they are far over due a review! The good news is they work wonders. Myself and all of Emma's Bridal Party used both of these for her Wedding, and no makeup moved all day - and this was on a super hot July summer's day! And that's a pretty good survey of responses there, as we all have different skin types and makeup regimes. Hardly any touch-ups were needed all day! They both have a very faint perfume scent, but that goes as soon as the sprays are both dried. They leave your face feeling quite soft and light, so you don't feel like you're wearing anything heavy duty on your face. The Priming Water dries quicker than the Fixing Spray, but I just gently fan my face to hurry it along. Considering their purse friendly prices, I'm definitely going to be getting these again when I've used them both up. 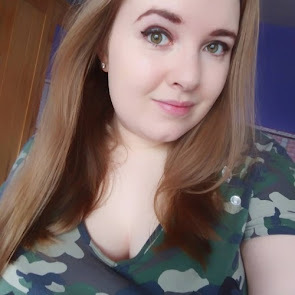 Marvel Universe: Live - London Trip!